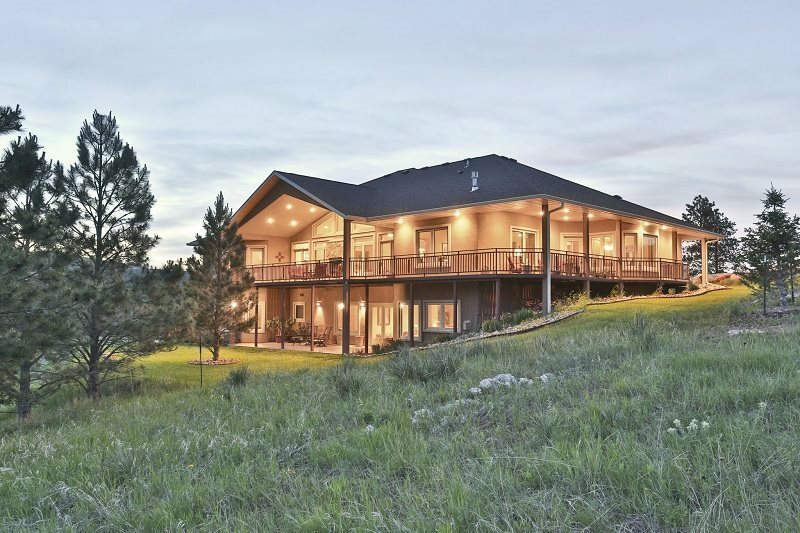 Call Agent â Pattie Parrett - Real Estate Center of Spearfish 605-645-1809 for more information. NOW LISTED $109,000 BELOW 2016 APPRAISED VALUE! THAT&apos;S $148.17 A SQUARE FOOT! This home is loaded with high quality finishes and is very energy efficient. It is located in one of the most desirable subdivision in the Northern Black Hills! As you step across the threshold, the heated tile floor ushers you into a space that is inspiring and yet calming. Just a few steps inside and you will experience the grandeur of the interior. One is awe struck by the expansive great room, which boasts a 16 foot ceiling, incredible natural oak wood flooring, a see-through fireplace and floor to ceiling windows designed to bring the outside in. The strategic floor plan invites an easy flow from room to room.